Discussões e entrevistas íntimas com pessoas interessantes do mundo da política, dos meios de comunicação e da vida pública. 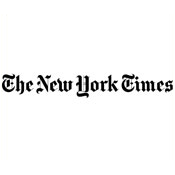 An insider look at The Times’s coverage of health and well-being. Award-winning chef, television personality and author, Jacques Pepin, discusses his career and culinary techniques with New York Times food writer Jeff Gordinier. Popular Food Network star, cookbook author and restaurateur, Guy Fieri, proves he is not all burgers and barbecue in this discussion with New York Times food writer Julia Moskin. Chefs April Bloomfield, Anne Burrell, Alex Guarnaschelli and Anita Lo discuss how to they manage their high-stakes careers in the high pressure world of food. Moderated by New York Times food columnist Melissa Clark. Ferran Adria, the chef behind Spain’s El Bulli discusses his career and cookbook, “The Family Meal: Home Cooking with Ferran Adria.” Interviewed by former Times restaurant critic Frank Bruni. Ferran Adria, the chef behind Spain’s El Bulli discusses his career and cookbook, “The Family Meal: Home Cooking with Ferran Adria” featuring recipes for the at-home cook, based on meals he served his staff at El Bulli. 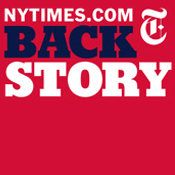 Interviewed by former Times restaurant critic Frank Bruni.